Do you feel overwhelmed by diet recommendations that constantly change based on the latest research? If you have a cancer diagnosis or a desire to lower your risk for cancer and want to follow a healthy diet, there is good news — some advice has not changed. A diet to reduce cancer risk has a recurrent message: choose a diet with lots of fruits and vegetables. Several organizations, including Mayo Clinic, the American Cancer Society (ACS) and the American Institute for Cancer Research (AICR), urge us to eat more fruits and vegetables. The ACS guidelines suggest we should eat five or more servings per day. The AICR has set goals of 2 to 3 cups of vegetables and 1 1/2 cups of fruit per day. A serving, as defined by the U.S. Department of Agriculture, is one medium whole fruit or 1/2 cup of fruit, 1/2 cup of cooked or chopped vegetables and 1 cup raw, leafy greens. Fruits and vegetables contribute needed antioxidants and phytochemicals (plant-based chemicals) that protect cells in the body from cancer-causing substances and actions. 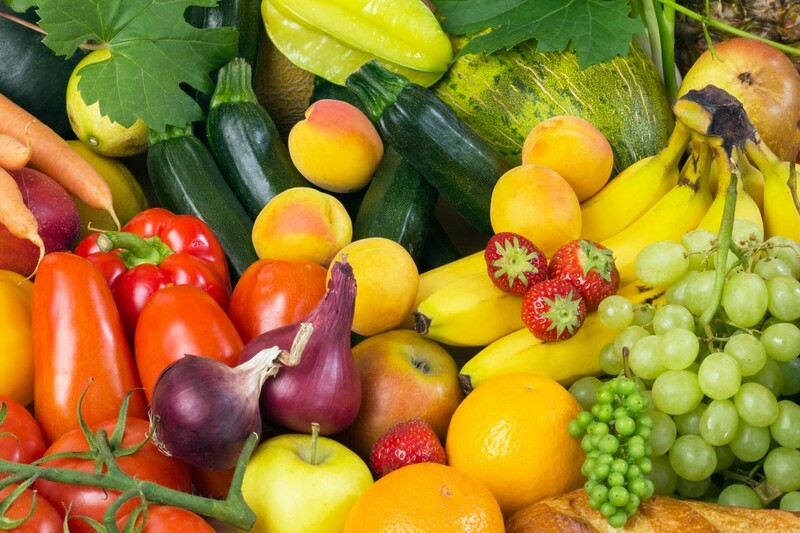 Eating an assortment of different colored fruits and vegetables has the benefit of fighting cancer and other diseases. "Fruits and vegetables can be fresh, frozen or canned without added salt or sugar. When given an option, choose whole fruit or a vegetable over juice for the added benefit of fiber," adds Yost. "Take advantage of pre-chopped or frozen vegetables to make it easy to boost your intake. Add fruits and vegetables to your snacks in addition to your meals. They also can help achieve and maintain a healthy body weight — another benefit of reducing cancer risk." Sauté cherry tomatoes, asparagus, bell peppers, broccoli, onion and other vegetables. Toss with whole-wheat pasta and a splash of olive oil. Top with grated Parmesan cheese. Bring one quart reduced-sodium chicken broth to a boil. Cook any amount of fresh or leftover vegetables (carrots, onions, green beans, mushrooms, rutabagas, tomatoes or zucchini) until tender. Serve with whole-wheat crackers or toast.